Did you make your New Year's resolutions when it comes to how you're going to do things differently in your classroom this year? Have you given any thought as to how you'll #TeachYoSelf over the course of the next nine months? So that you can keep up with the coming-at-me-like-a-fire-hose barrage of new and changing educational technology? Maybe you haven't. And it's okay, because taking on one more task in your already overstuffed turkey of a day is daunting. But we don't have to go it alone. Get yourself a buddy this year! Teacher, author, and innovator Holly Clark recently examined in her blog why some educators tend towards innovation more than others do. I've been at this for four years now, and one of the things that I've found myself consistently pondering is why it's been such a struggle to find enthusiasm for the adoption of educational technology in the classroom. Technology is the realm of the “digital since diapers” crowd, and since we feel like we are strangers in a strange land, we tend to feel excluded. And thus, there are educators out there who reject or avoid technology all together, expelling it from their classrooms, and continuing to teach as if the technology doesn’t exist. But here's the thing, though: everything evolves. What makes education so special that it’s immune to evolution? And more importantly, why would a profession that prides itself on shaping the future be so reticent to change? We have to turn it around. We have to embrace change instead of fighting it. We owe the medical, transportation, communications, and technology industries major props for being willing to evolve. And education is the one profession that gives birth to all of those industries. It's time to change. If we fight it any longer, we'll become irrelevant. The inclusion (or intrusion, depending on how you look at it) of technology makes some of us feel as if we are losing control of our classrooms and students. This makes sense when we consider how learning occurred in the pre-Internet days when the teacher held the keys to learning. However, we need to embrace a new model--that of facilitator, guide, coach--and we need to work collaboratively with our students. We can learn from them, they can learn from each other, they can learn on their own. There's no longer any need for us to be the gatekeepers to knowledge acquisition. Technology makes some of us feel as if what we have to contribute is no longer relevant. Nothing could be further from the truth, in fact. The human element has been, is, and always will be a necessary part of learning. We feel attacked for not knowing. It prevents us from moving forward. Fear can paralyze us, and if we don't confront it--if we aren't willing to enter into a relationship and get to know it--then it will crush us. Ironically, the only way to banish the neophobe from our psyche is to be unafraid to confront it. We should always remember that our goal as educators is to create lifelong learners. Let’s model what that looks like by being willing to confront our fears, to sometimes fail, but to ultimately succeed. And isn’t that a totally awesome-sauce life lesson for our students? I'd love to hear how you're leveling up--feel free to leave comments and ideas below. Learning can be all fun and games! "Whoever is Doing the Talking is Doing the Learning." ​The obvious conclusions we can draw from these images aren't too much of a stretch: the more intellectually stimulating the task, the more the brain is engaged, right? So, studying, homework, and testing all create tangible spikes. Okay, ready for the big reveal? Yep...sitting in a classroom is about as intellectually stimulating as snoozing. Digging deeper, we can reasonably assume that this particular classroom activity is most likely lecture-based. Did you know that since the establishment of the university system in 1050, class-long lecturing has been the predominant method of instructional delivery? Let that settle in for a moment: we've talked at students for almost 1,000 years. Despite recent studies that confirm fifteen minutes is about the maximum amount of time students can focus on lecture material, we're still encouraging students to passively accept our content knowledge. Or, to quote my math coach buddy Mike Lipnos, "We have no idea how much we take from children when we give them our thinking." Move from the front of the classroom. Turn your statements into questions and prompts. Notice moments when you summarize/review for students and instead get their input. In other words, keep it brief, keep it active, and keep it about the students. What strategies do you use to cut down on the amount of time you lecture? What Does 1:1 Really Look Like? When Dr. Ruben Puentadura devised the SAMR model as a pathway for teachers to integrate technology into instruction, he justified its existence in the following way: “I see students taking charge of their own education. Those are classrooms where the students say…’I can see a better way of doing that!’ There is a certain excitement [and] a certain ownership of learning.” In other words, he envisioned a world (and classrooms) where the teachers and the technology would work together to create student-centric environments. These are the goals not only of the SAMR model, but of the redefinition of learning. Today’s classrooms should be teacher-bordered and not teacher-focused. Our learning environments should encourage students to individually find a better way to think, to solve, to learn, and to re-learn. 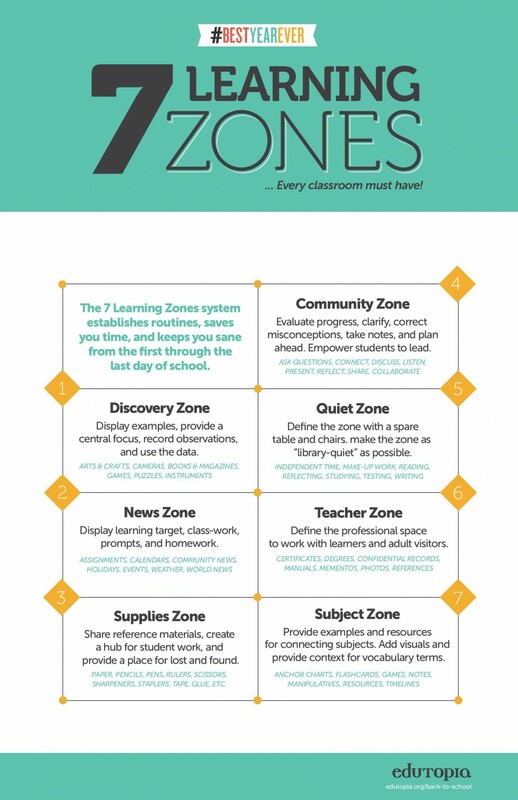 The 1:1 classroom offers that potential, for sure. But in my travels, I all too frequently see many districts or buildings or classrooms not quite hitting the mark. (I’m not getting all Judge Judy here, I promise!) I think that we all too often get stuck at the substitution level of the SAMR model when it comes to 1:1. And then we get comfortable staying there. And the next thing you know, we’re wearing sweats, we’ve abandoned makeup, the hair’s up in a messy ponytail, and we’re hanging out the couch, with pizza and Netflix now a substitute for our date night. In other words, we’ve stopped making an effort. ​We weren’t meant to get stuck. A digital worksheet is still just a worksheet, after all. Are You Willing to Change the Design of Your Classroom? Are You Willing to Give Up Control--and to Be Okay with Occasional Chaos? Are you okay with not feeding students content via lecture notes, graphic organizers, and prepackaged worksheets from Teachers Pay Teachers? Are you okay with asking them questions and then letting them explore like free-range chickens? Are you okay with not having an airtight, rigid lesson plan? Are you okay with abandoning a lesson when an opportunity for exploration presents itself? Are you okay with letting students get it wrong occasionally--make mistakes, fail, and self-correct? Are you okay with not stepping in and taking over--being the guide and not the facilitator? Are you okay with students being out of their seats? Are you okay with non-silent, working students? Are You Willing to Let Students Create? 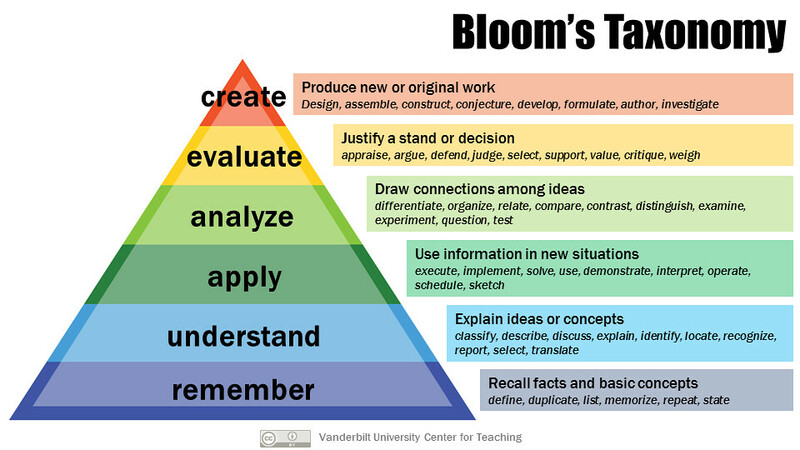 Are you familiar with the revised Bloom’s Taxonomy--where creation is now the highest level of learning? Are you happy to let students show what they know instead of having them take and end-of-unit summative? Are you ready to let your students be content creators instead of content consumers? Knowing that whoever is doing the talking is doing the learning, would you be willing to let students teach something to increase their retention of material? Would you even be willing to let them write a textbook or create learning materials for their peers instead of simply recalling? Would you consider allowing students to publish to a global audience via YouTube, blogging, or the creation of a website? Are You Willing to Give Up the One-Size-Fits All Mentality? Are You Willing to Become a Flipper? Can you get comfortable with the idea of assigning homework for classwork and classwork for homework? Can you give up lecturing and instead devise active learning experiences, problem-based learning, or peer instruction? Can you challenge yourself to deliver content outside of class that is engaging? Are you willing to let students use their mobile devices in the classroom to learn and create? If the answer to the majority of the questions is yes, then we are good to go, to explore, to learn, to transform, If the answer is no, well, that’s neither bad or good--it’s just the way it is and some guided hand-holding and confidence-boosting needs to occur. These are all uncomfortable questions, and it’s sometimes uncomfortable for me to ask them--and for educators to even consider them. But change doesn’t happen in our comfort zones. Speaking of getting uncomfortable, let’s revisit that date night analogy again: Remember when things were new? You know, when we actually put forth some effort? When we shaved our legs, applied the eye shadow, curled the hair, and donned the heels? (Guys, not sure what your equivalent of date-night effort is. Don't throw shade at me.) Let's get back to putting forth the effort. It makes everyone happy. We have to encourage ourselves and our colleagues to make the effort again, too. To not get comfortable. To ask of our current pedagogical practices, What can I do to keep this fresh? We need to keep making the effort and we can’t stay comfortable. Because our 21st-century students, after all, deserve our effort. I've been lately embedded with a 4th grade math class, observing and looking for opportunities to integrate technology into daily instruction as this school makes plans to be 1:1 next year. Today, a true teachable moment presented itself. As students collaborated in the number corner, discussing the concept of time, one kiddo piped up, "What does a.m. & p.m. mean?" Pausing, the teacher asked, "What do you think it means? Does anyone have a guess?" At that point the teacher encouraged the kids to look it up when they got home and to share the answer with the class the following day for a bonus buck. There was content to cover, after all, and only so much time to cover it. I kept my mouth shut. It wasn't my place to jump in and say, "Let's figure it out now!" I was a guest, after all. Still, I knew we were missing a valuable opportunity to model learning in the moment--instead of putting it off until later. I'd bet a paycheck that none of those kids were going to go home and search for the answer. The moment was gone. This isn't the first time I've dragged my kids into teaching others. When he was in sixth grade, I coerced Tyler to create an instructional ShowMe to demonstrate to teachers how the app works. My younger son, Robbie, and some of his buddies were "gently guided" into making a collaborative learning website in 7th grade so that I could share with teachers that students could create their own learning materials. And just last month, Tyler co-presented with me at a local edtech conference--and not only wound up leading the session, but stealing the show, too. I don't bring kids into teaching because I can't teach. I bring them into teaching to prove a point: in the digital age, learners are teachers and teachers are learners. Knowledge acquisition is fluid. So, knowing that a question left unanswered and unexplored is a lost learning opportunity, and hindered by the fact that Tyler's AP Physics class was more important than my need for him to Facetime the 4th graders, that afternoon we devised an alternative solution and created a short video to share with the kiddos the next day. Not necessarily professional, and not necessarily polished...but definitely real. And, as it turns out, our audience of fourth-graders enjoyed the heck out of it...and I'll bet a paycheck they'll remember the meanings behind ante meridian and post meridian for a long time to come. This generation of learners craves digital interaction: they're Facetiming, Snapchatting, Instagramming, Tweeting, and devouring YouTube videos. Why? Not because they're passive recipients, but because they seek to connect in exciting, engaging, and authentic ways. Let's try to recognize and take advantage of more opportunities for learning to happen in real-time--outside of both our carefully-arranged lesson plans and the four walls of our classrooms. Last week, I had the opportunity to speak with a group of middle school and high school teachers as they address what 1:1 will look like for their district. The driving question of this particular roundtable/workshop was “Why Do We Have to Change the Way We Do Things?” It’s often how I like to start when trying to change hearts and minds--by getting to the reasons that initiate the change in the first place. For me, that starts with trying to understand Generation Z.
They’re always staring at screens. I used to go out all day and play until it was dark. They’re always taking selfies and posting them; they’re so self-obsessed. They think they’re so tech-savvy, but they really don’t know how to use technology. Totally soft. They wouldn’t be able to change a tire if they got stuck on the side of the road. Pretty negative, right? I had hoped that the person who labeled GenZ as “teachable” would have spoken up, but (s)he didn't, so I’ll take on that task. Personally, I’m a huge fan of GenZ. Like an oversized-foam-finger-fan of them. I love their boldness, their creativity, their intuitive ability to interface with devices placed in front of them, their willingness to connect and interact, their total lack of reluctant self-consciousness. This is a generation who creates their own YouTube channels, who uploads their original music to SoundCloud, who publishes their own ebooks to Amazon Kindle. They are fearless in their belief that the world is accessible to them. And I admire it. I think that’s why we as educators are so reluctant (or so resistant) to embrace Generation Z’s “different-ness.” I think we’re the ones with the fear; maybe we’re a teeny bit afraid of them. Perhaps they represent to us what was once a distant future but what is now clearly a very present, well...present. Generation Z doesn't necessarily need us to teach them anymore--at least not in the traditional way. They can find answers without us. They can learn things without us. They can create things without us. Do we fear our irrelevance? Or do we fear our loss of total control? If we fear the former, don’t panic. We just need to modify our role. If we fear the latter, well, Buttercup, we’re gonna have to get over that in a major way. If we’re ready to modify our role, then let’s create teacher-bordered classrooms where the kiddos are allowed to discover learning instead of having it handed to them. If we’re gonna get over it, we’re going to have to get uncomfortable with not completely understanding technology and learning it together with our students. My advice? Embrace the revolution. Let the selfie generation see themselves in their learning. Note: This is the first in a series of posts about lesson makeovers. These are opportunities I've had to transform traditional instructional practices to make learning more engaging and meaningful in a 1:1 classroom environment. I'm a sucker for makeover shows: home makeovers, fashion makeovers, beauty makeovers, whatever. It's the transformation that mesmerizes me--the gift of the makeup artist to alter one's appearance, the talent of the designer to reimagine a space, the genius of a fashionista to envision the future. Hey, we all could use an update. So with that said, here's this month's makeover: a 4th grade subject and predicate worksheet. This standard cut-and-paste worksheet from Teachers Pay Teachers doesn't do much in the way of helping fourth graders show what they know. In fact, it's a DOK Level 1 activity in that students are simply asked to arrange subjects and predicates without even having to understand what they are, as evidenced by the fact that simply knowing a sentence begins with a capital letter and ends with a period would enable you to complete this having zero knowledge of such. And did I mention it involves cutting and pasting--UGH. Drag each subject and predicate together to make a match and form complete sentences. Make any punctuation and capitalization corrections. Put the sentences in order to form a short story. In the space below, create your own sentence. Highlight the subject yellow and the predicate green. Sure, it still has the arranging task to it, but notice that all punctuation has been removed. This compels students to distinguish (DOK 2), to revise (DOK 3), and to create (DOK 4). Furthermore, they're practicing necessary technology skills which so many of our kiddos need to have mastered. More importantly, students are really, truly showing what they know. Feel free to make a copy of my digital makeover--or at least a variation of it. Hey, we all have different visions of what a makeover should look like. A question mark changes everything. As the Google design team makes abundantly clear in this ad, statements are limiting, and placing a period at the end of a sentence indicates finality. No more ideas. No more moving forward. The end. Game over. ‘Nuff said. How do we know they can? Well, traditionally, a teacher will prepare slides about mitosis, give lecture notes about mitosis, copy study guides and worksheets about mitosis, assign homework and reading about mitosis, and then finally administer a unit test about mitosis. No more ideas. No more moving forward. The end. Game over. ‘Nuff said. What if we changed that period at the end of a traditional "I Can" statement into a question mark? I can use a model to illustrate the role of cellular division (mitosis) and differentiation in producing and maintaining complex organisms? Imagine projecting that question to a class and simply saying, Can you? Imagine allowing them to pursue their own learning, to show, to demonstrate, to create. What if we said, “Figure out a way to show how you can master that standard, whether it’s a screencast, a song, an infographic, a story, an animated Google Slides deck, a carefully-curated assemblage, a playlist...a whatever you can imagine! I’ll be here to guide you, to coach you, to encourage you, to direct you, but I will not do the work for you.” Imagine stepping to the side and allowing them to be active participants and owners of their learning. Statements finalize possibilities. Questions open them up. Still not convinced? Think about this for a minute: Google didn’t create the latest in innovative smart phone technology by making statements. Google did it by asking questions. Note: To learn more about asking questions to inspire learning, check out inquiry-based learning. I’m giving you fair warning, buttercup: this is not going to be a warm and fuzzy post. So if you’re a sensitive soul, now’s the time to turn back. Last week, I was working with a teacher during her planning period, brainstorming ways to integrate a specific instructional technology tool into her curriculum. As we collaborated, her veteran partner walked in, took one look at us, and responded, “Oh, no. No more technology for me! Absolutely not.” She promptly turned on her heel and exited. Unfortunately, this is not an uncommon reaction to my presence in a classroom or a school. While I’m often welcomed with open arms, I’m equally as often treated like Frankenstein’s monster in the village. I’ve tried to not take it personally. In my best Stuart Smalley voice, I’ve self-talked and mentally declared my worthiness to myself when I sense a reluctant adopter’s discomfort with my presence and with what I represent to her--which is change. However, like Frankenstein’s monster, I believe I am (or at least my role is) frequently misunderstood. So please allow me this opportunity to clarify: Teachers, I was not put on this earth (or in this job) to torture you, but to instead make learning more engaging and productive for your students. And promise you: This is not about you. And it’s not about me, either. It’s really, really about the kiddos. My misson is to act as a translator and tour guide into the digital domain--a world in which our students already exist. And a world in which they’d be really, really thrilled to have us join. I take it personally on behalf of our students. I'm not working against you. I hope to work with you. We’re on the same team. Just like you, I strive to challenge students, to push them, and to inspire them. Listen, I get it. Change is scary. But it’s inevitable. Everything evolves. It’s that simple: every industry, every profession, every thing changes. When an educator summarily rejects the notion that technology is a necessary part of educating our students, when an educator absolutely refuses to improve his or her own understanding of it, and when educators treat as the enemy the people whose job it is to assist them in making the shift, I have to say--and it pains me to do so--then you’re making it about you. Again, I’m so very sorry if this post makes anyone uncomfortable. But maybe discomfort isn’t such a bad thing, because it’s only when we step outside our comfort zone that true change occurs. As author and speaker Brene Brown so sagely advises us, “You can choose courage or you can choose comfort, but you cannot choose both.” Of course it’s comfortable to stick with what we know and to do things the way we’ve always done them; however, it’s also incredibly courageous to venture into the unknown. It’s not about me. It’s not about you. It’s about them.